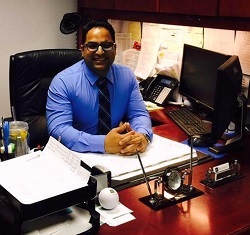 The Law Office of Seni Popat, P.C. is a Bankruptcy law firm committed to helping those in need of advice regarding bankruptcy cases. We help people file for Chapter 7 or Chapter 13 bankruptcy protection. Our law office is committed helping those in need of help and we are Bankruptcy law firm committed to helping those in need of advice regarding bankruptcy cases. We help people file for Chapter 7 or Chapter 13 bankruptcy protection. We specialize in bankruptcy, chapter 7 and 13. We have been practicing in the New York courts for almost a decade representing those seeking to file a chapter 7 or chapter 13 bankruptcy. We are admitted in the EDNY, SDNY, and other federal courts. We go out of way to make sure the client is treated with respect and given priority. The Law Office of Seni Popat, P.C. is a Bankruptcy law firm committed to helping those seriously injured or in need of advice regarding bankruptcy.